If you’ve noticed that people leave your website, you probably think it’s because the page is “not good enough.” But, this reason is an oversimplification of an answer that deals with lots of factors. If your site is “not good enough,” then you need to know why. Unfortunately, the explanation won’t be as cut and dry as the answer suggests. If your landing page isn’t converting as expected, for example, you can’t just blame it on poor copy. While there’s a reason to believe so, other factors could be at play. Since your website is a complex creation, you need to look into all the relevant factors that play a role in its ineffectiveness. So, adopt a more statistical approach and start measuring your website’s progress. With the figures on hand, you can make the necessary changes to retain your visitors and increase your conversion rates. 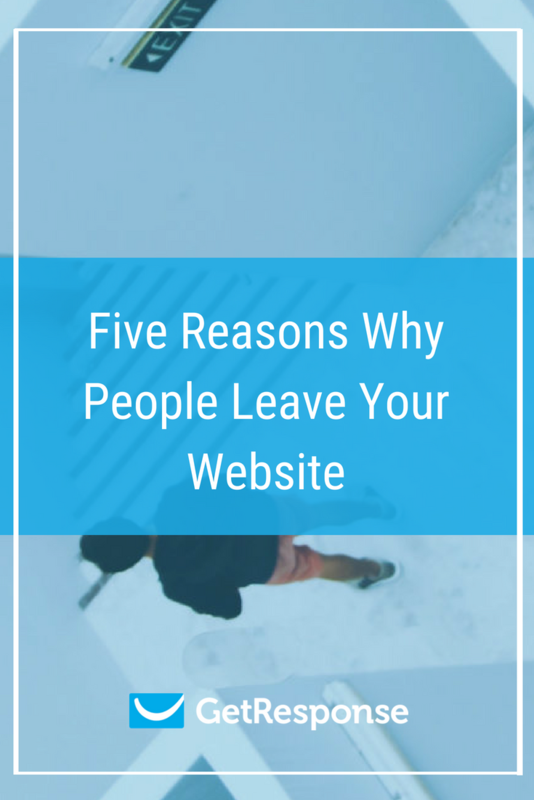 In this article, you’ll find the statistics and fixes for five possible reasons people leave your site. As a customer, your time is of the essence. A restaurant that takes too long to take an order makes their customers feel unwanted and unwelcome. As a result, they’re forced to look for alternatives where they can get the same type of food but better service. This is what visitors feel with a slow-loading site. Instead of taking their time to wait for the site to load, they can just hop onto another website that contains the same information as yours, but loads much faster. You’d think that three seconds is too small a margin of error to make a difference. But, every second counts with your site’s loading speed. The longer it takes for it to load fully, the more visitors you’ll lose, even before they see your content. So, you need to find a way for your slow website to load fast enough to keep visitors. Change your web hosting. Not all web hosts are made equal. Some help make your site process information faster than others. Since there are too many web hosts to choose from and not enough time to try each one, refer to this handy page to help you find the right web hosting for you. Optimize your database. Cleaning out the trash in your database like post revisions, orphaned and duplicate content, will help recover disk space in your hosting. Use a caching tool. This type of tool saves files on local drives of visitors whenever they visit your page. If they revisit, the data on their local drive will load, making your site load faster on their end. Compress your images. Compressing the images will reduce their file sizes without losing their quality. You can use Optimizilla to optimize images before uploading them. For WordPress users, image plugins will do the dirty work for you. Striking a balance between function and design has been a challenge for site owners. Most of them settle with a site that’s either too bland or heavy-handed. By finding the middle ground between utility and beauty, you can offer a seamless user experience to visitors. Appearance plays a role in keeping people engaged with your site. Providing value no longer means giving them useful and actionable content. That’s why you need to approach content creation on a holistic level. Aside from content quality, you need to consider how the content is presented. Since most of the design changes require technical and creative know-how, you might need professional help to get the changes done. Change your theme. Updating the theme once in a while will give a breath of fresh air on your blog. It’s easy to toggle from theme to theme using WordPress although you may need to make minor changes to streamline the theme design across all pages. Change the font. Arial and Times New Roman, while being time-tested fonts, won’t make your site unique. You don’t have to choose a font that’s “out there”, but selecting an alternative font to the usual makes your site more interesting. Use better images. If you’re using stock photos for your content, consider designing your images to make them stand out. 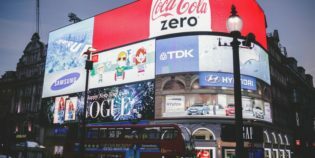 A tool like Canva will help you create branded images out of your stock photos for maximum effect. We’re spending more time online on our mobile devices. It only makes sense to design your website to appease the mobile user. There are still some sites that reinforce the same layout used on desktops to mobile view. As a result, mobile users have a difficult time browsing the websites, because they have to swipe left and right to view different parts of the page. By making your site mobile-friendly, users will only have to swipe up and down on their screens. This makes the user experience much more intuitive and more convenient, increasing the possibility of your visitors staying and browsing the content. Choose a more responsive theme. WordPress has responsive themes in their theme repository. Finding a responsive theme (that’s also optimized for search engines) shouldn’t be too difficult. Reduce page size. Making your pages lighter by compressing the images and minifying resources will help the mobile device load your content much easier and faster. Remove interstitials. Opt-in forms are a great way to generate leads for your business. But, you may need to disable them from appearing on mobile devices (mainly for traffic that comes from the search engines) if they disrupt the user experience. 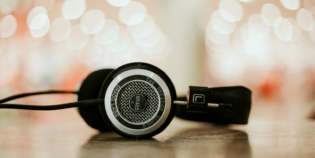 Most of the negative effects happen to your search rankings, so it’s best to find other ways to implement interstitials on your site. It’s cool if you can churn out posts worth thousands of words. However, unless your post is full of value, not all readers will read your post word for word. In fact, even if you have published a comprehensive and relevant content, even then most won’t read it from top to bottom! People are easily distracted online. If your content can’t grab and sustain their attention, then your site will see a high bounce rate whether you like it or not. Use formatting. Emphasize important words and phrases by using bold, italic, and underline. Use formatting sparingly, so the critical points have the most impact. Include subheadings. Break paragraphs and sentences by using subheadings (h2, h3, etc.). The tags also help organize the flow of your content for SEO purposes. Use images. Feature images across your content to break the monotony of text. Use custom images like memes, quotes, or statistics to get your visitors to stick around for as long as possible. If you don’t have a call to action (CTA) on your pages or are not even aware of its conversion rate, then there’s no wonder why people leave your website! Your CTA should be the reason why your page exists in the first place. A well-defined purpose for your site and its pages allows you to build a better relationship with your readers and audience. By determining the kind of CTA each of your pages needs, you’ll be able to encourage people to stay on your site and engage with it more. But, even if you have a CTA, the chances of getting more than 5% from it are slim. There are lots of factors involved in increasing your conversion rate aside from your CTA. Offer a single CTA on your page. You can use multiple CTAs on your page, but make sure there’s just one offer. Your purpose is to get them onboard, and sharing multiple offers next to each other is confusing and decreases your conversion rate. Ask for as little information as possible. If you require people to sign up on your form as CTA, then asking for their name and email address should be enough. Adding another entry for them to fill out might lower your conversion. Remove header and footer. Since headers and footers contain links to other pages on your site, your visitors might get distracted and click on the links instead of committing to your CTA. Remove both sections of your landing pages as much as possible. Statistics are by no means a be-all-end-all metric to judge anything. However, they are helpful indicators that make sense of user behavior and activity. In this case, stats give breadth to your website’s performance and how much your target audience likes or hates your site. If the latter, then you need to find ways on how to improve them to maximize the impact of your website on people. Being aware of the statistics and following the tips above, improve your site systemically and see your own stats change :).